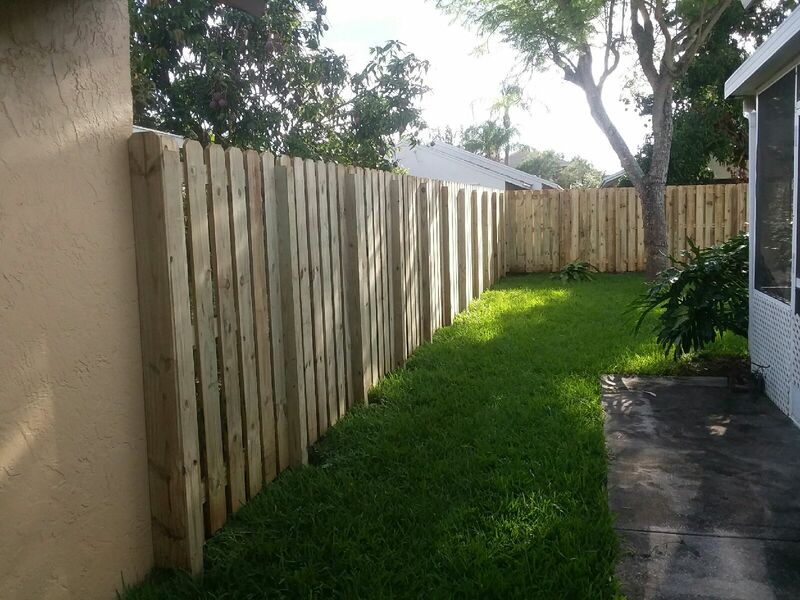 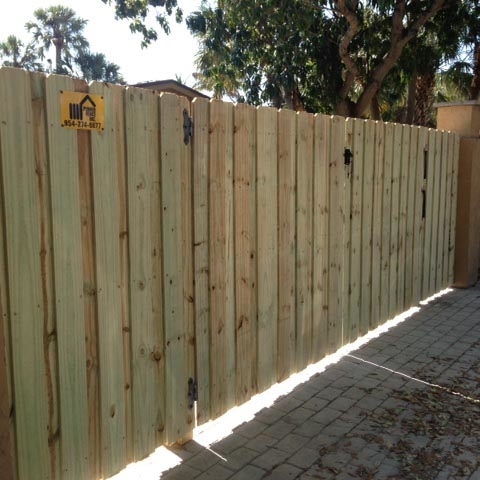 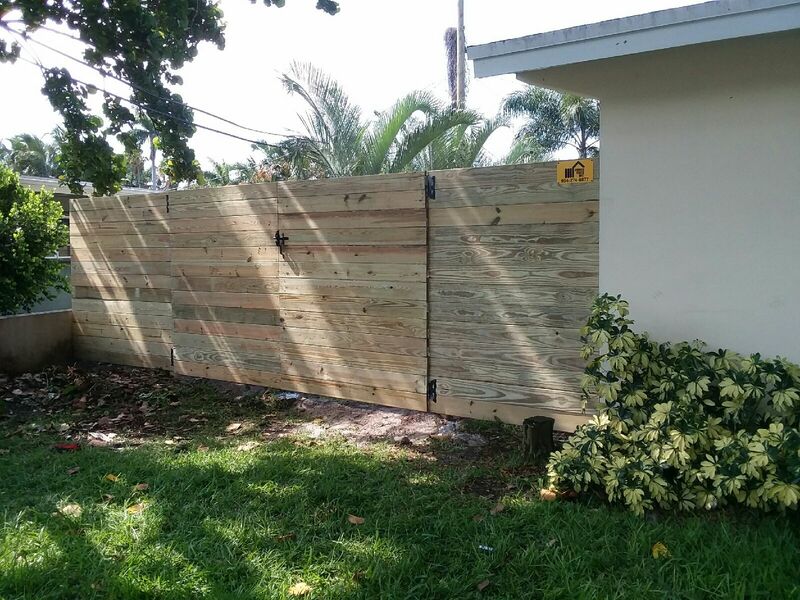 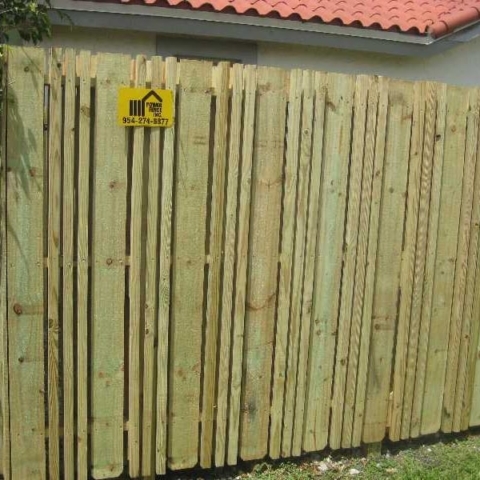 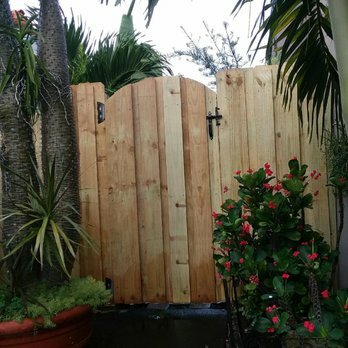 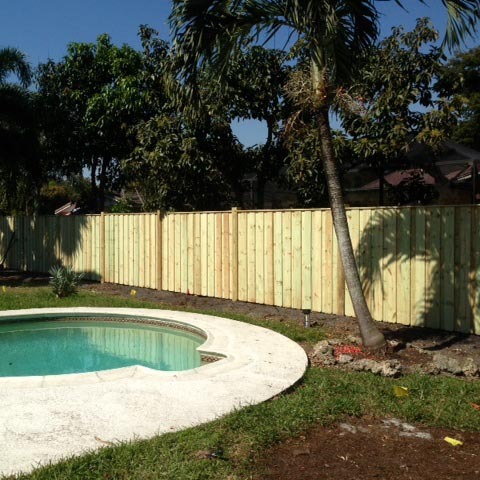 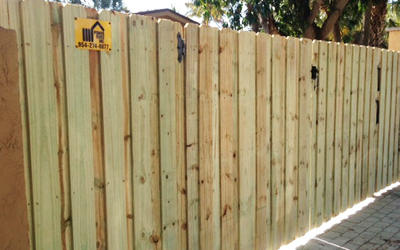 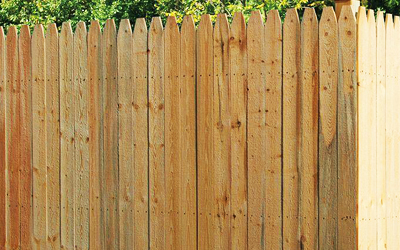 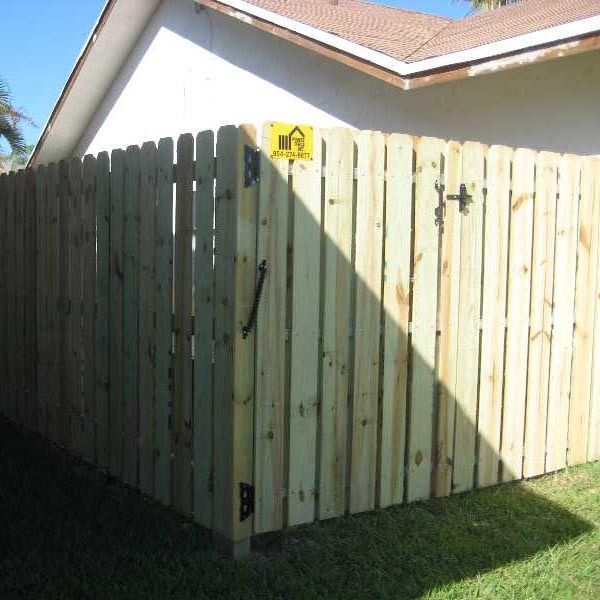 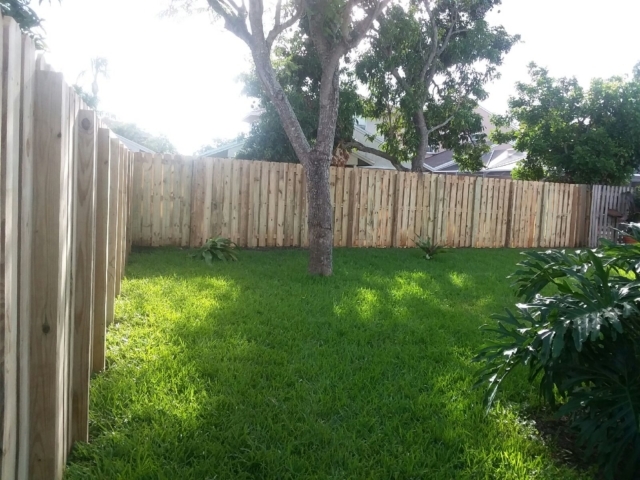 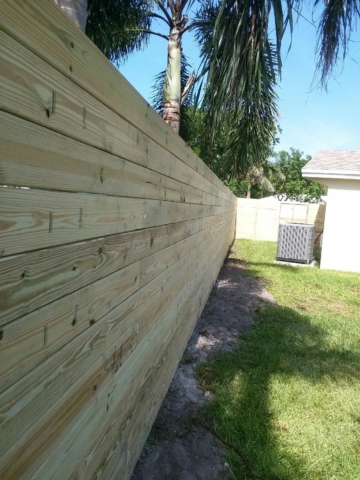 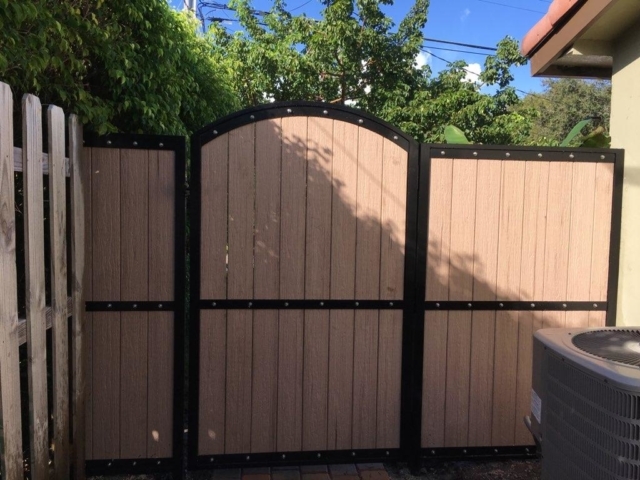 Board on Board wood fencing features overlapping pickets that create a completely private section of fence. 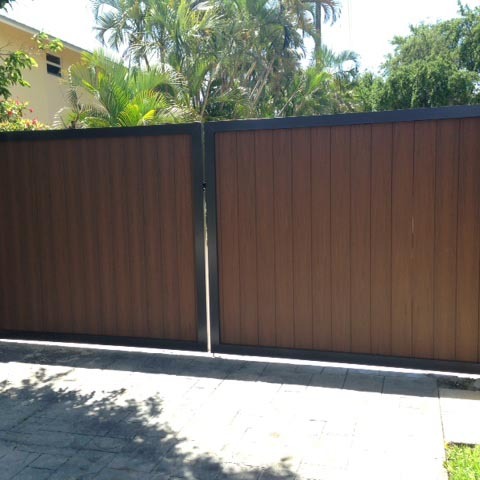 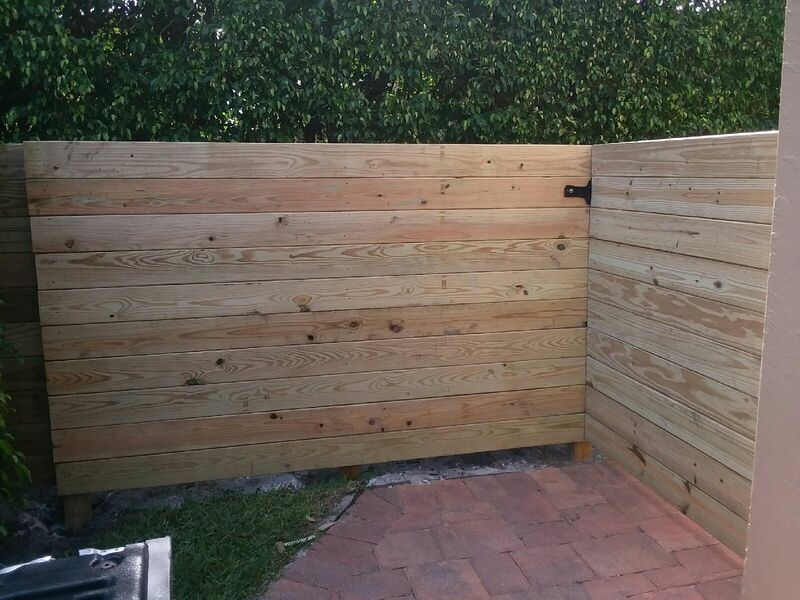 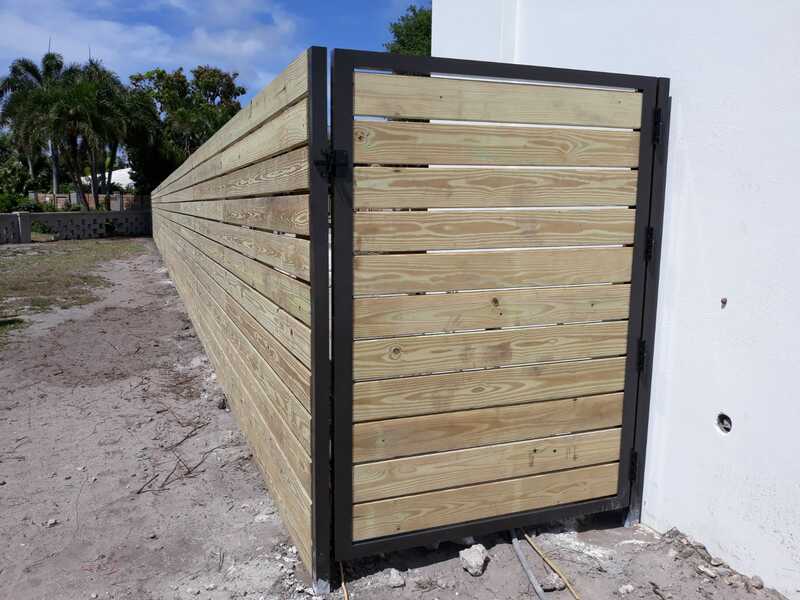 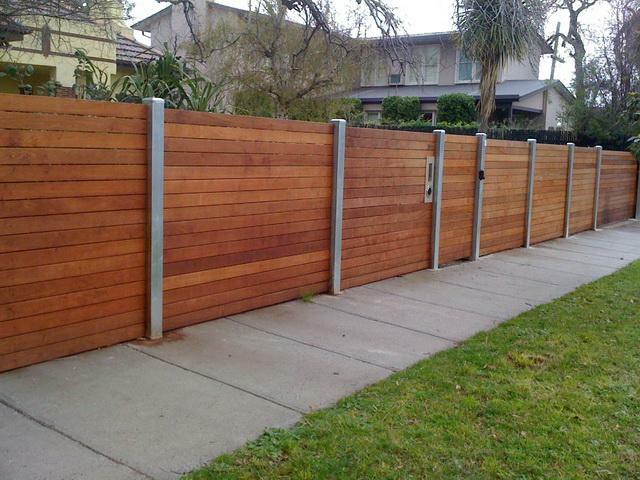 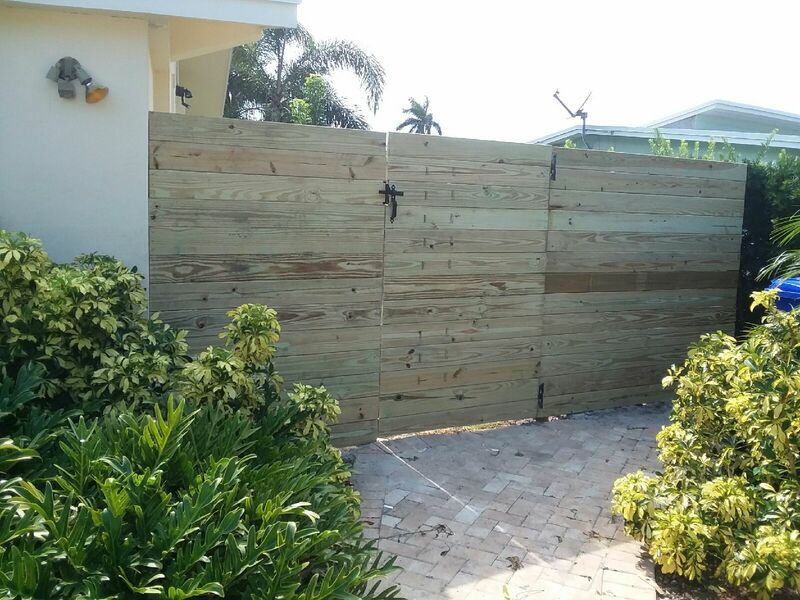 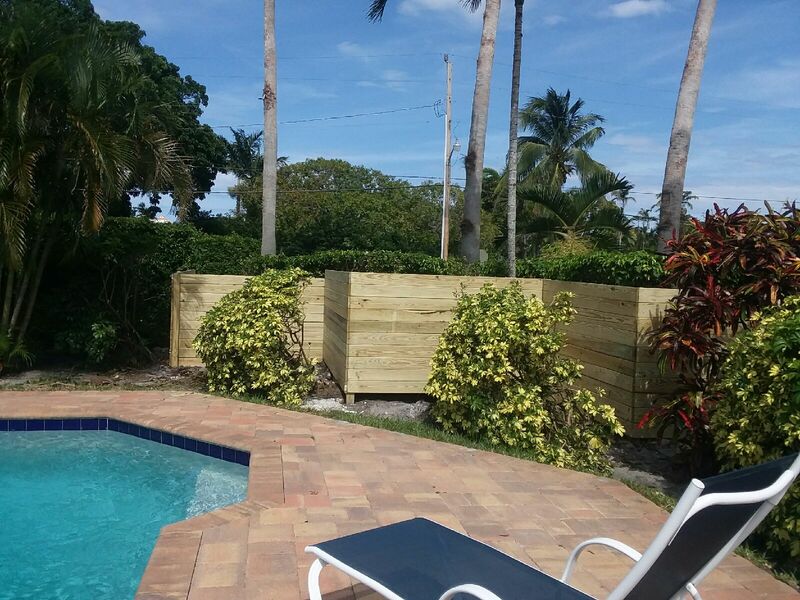 One of the only wood fencing styles that allows for maximum privacy and security. 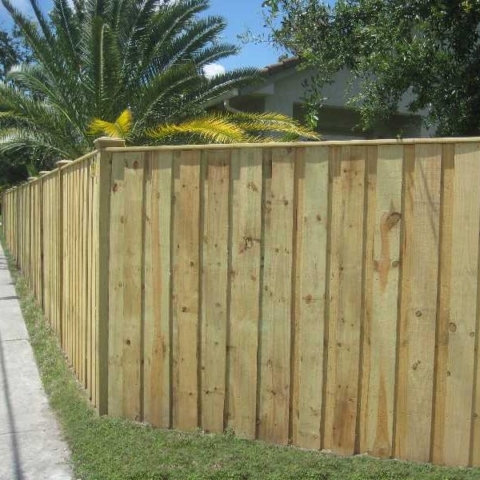 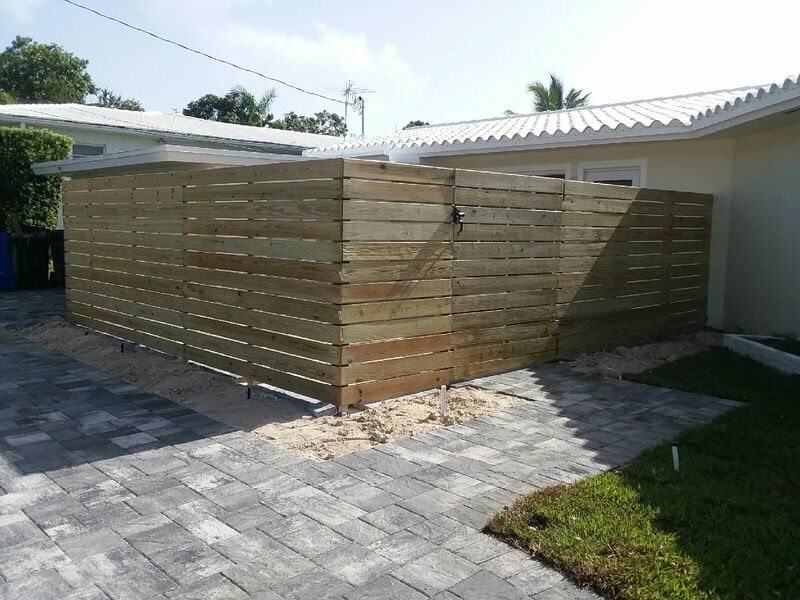 Stockade wood fencing consists of vertical boards with pointed tops installed without any spacing between them allowing for maximal privacy. 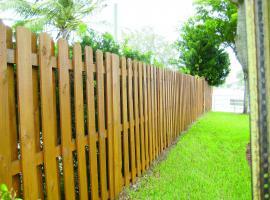 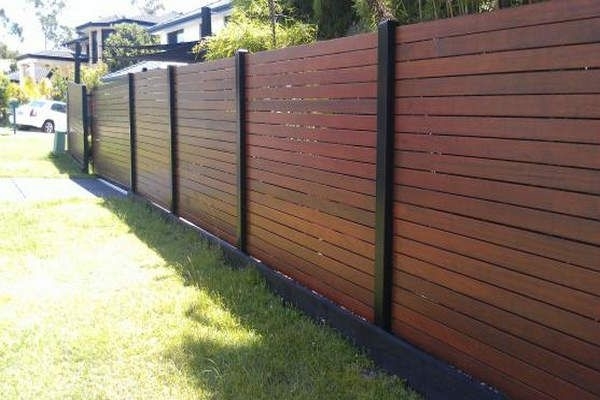 Wooden shadowbox fencing is by and large the most popular wood fence on the market today. 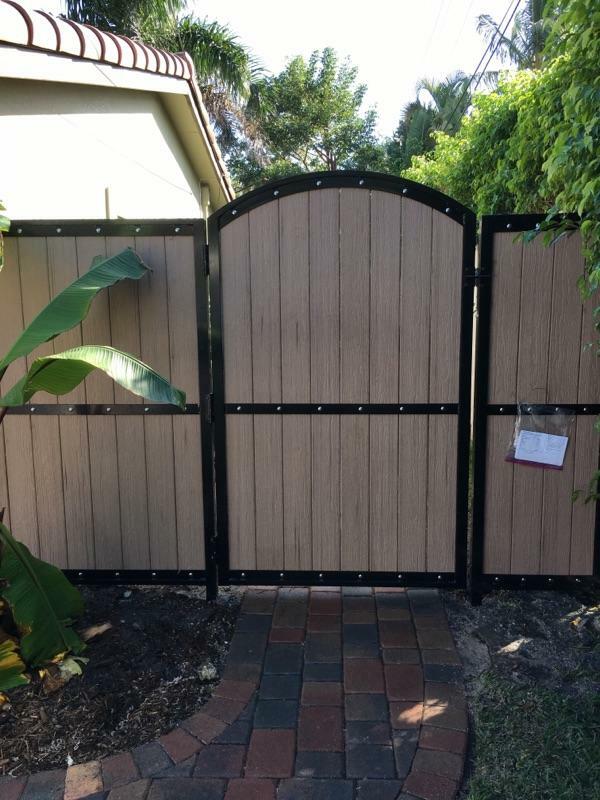 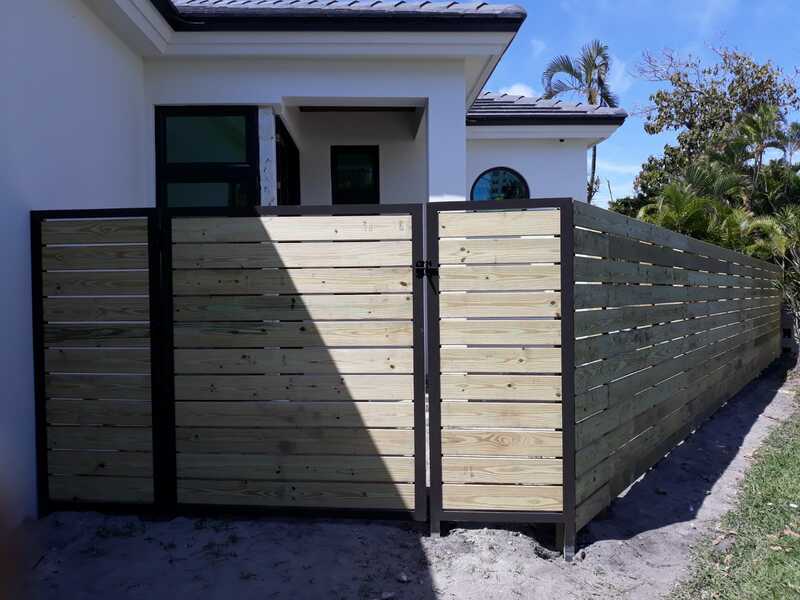 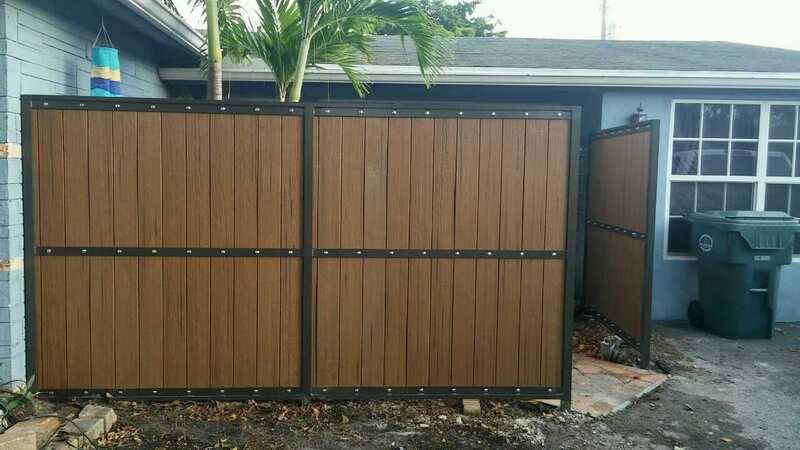 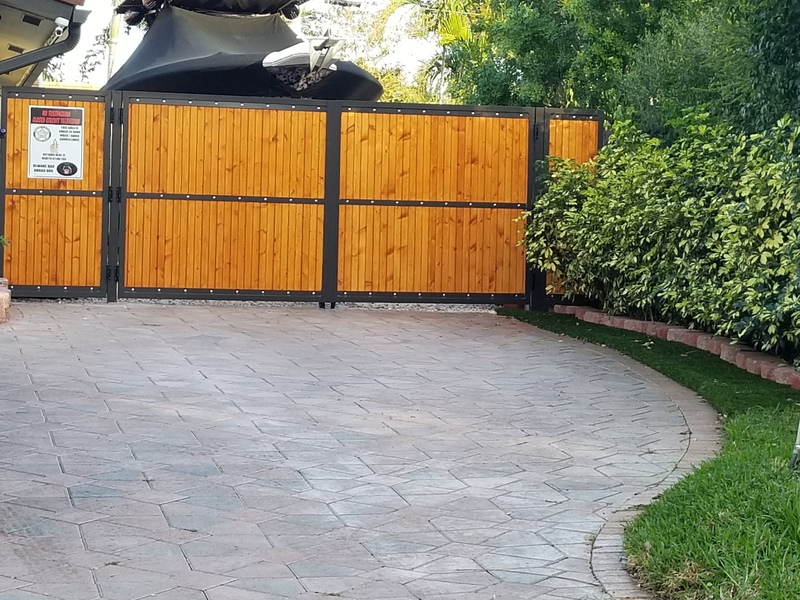 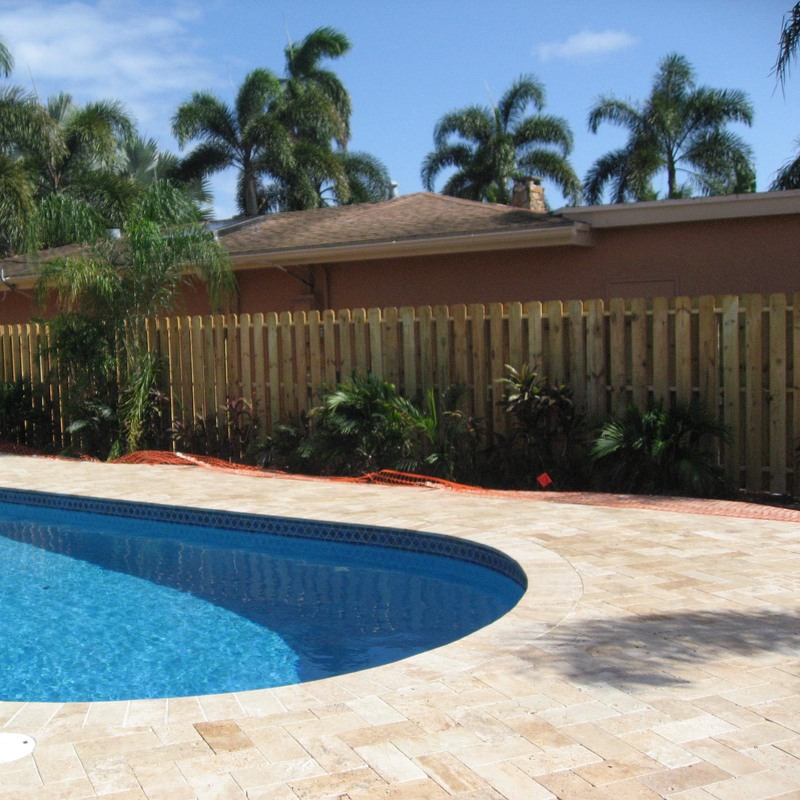 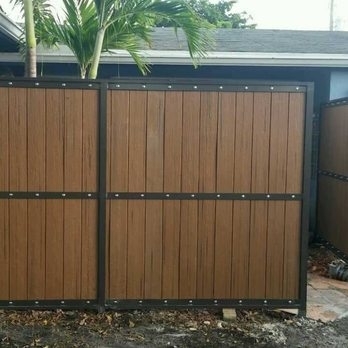 This style combines privacy with added wind flow and visibility and is required for use in many cities within Broward County. 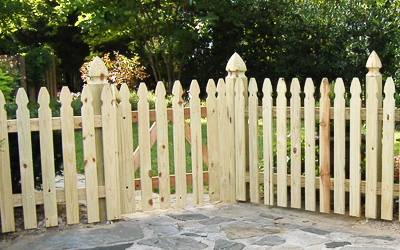 Wooden picket fencing has been a standard for use in American yards for many years, and is available in a variety of different picket choices and colors.